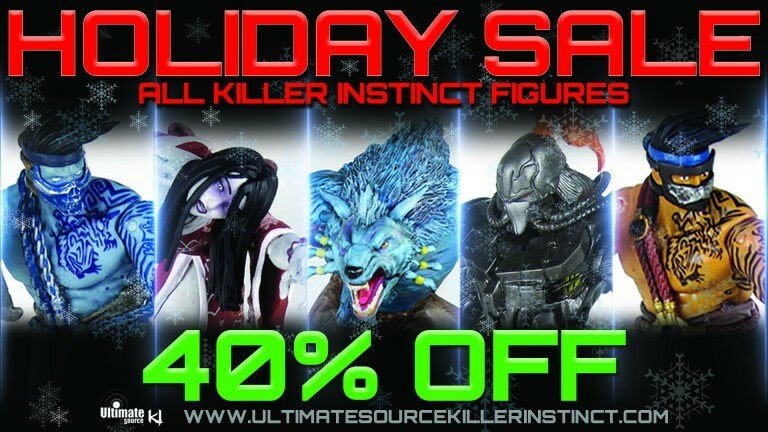 Killer Instinct | Ultimate Source Sale - 40% off! If you’ve been looking to round out your collection of KI Figures, or looking for the perfect holiday gift for a friend or family memeber, you’ll want to check out Ultimate Source right away! If the title wasn’t clear enough – allow us to elaborate. Every KI figure – Jago, Shadow Jago, Sabrewulf, HIsako, and Fulgore – is available for 40% off between now and the end of the calendar year. You know what we are going to say next – this deal is absolutely killer, and we suggest not letting it pass you by. Head on over to ultimatesourcekillerinstinct.com to get your figure before it’s too late.